Check out Ralph's $115k Profit on his Fort Worth Investment Property! 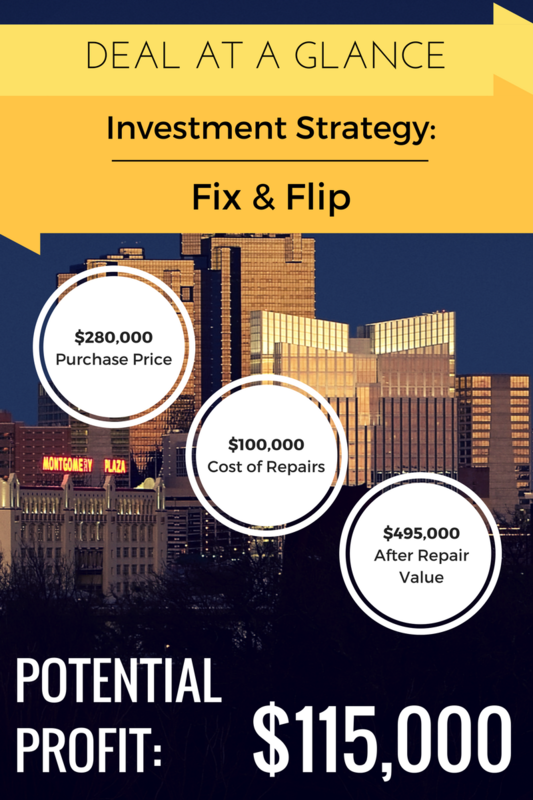 Check out Ralph's $115k Profit on his Fort Worth Investment Property! He just got a deal with $115k in potential profit! Ralph got a call from a wholesaler who told him to check out a property on MyHouseDeals.com. Before long, Ralph was assessing the property with a hard money lender, negotiating his financial strategy, buying the property, and starting the rehab. Building a real estate investing business when you already have a full-time job isn’t always easy, but Ralph knows how to take advantage of his available time to work on deals. He is working towards living the kind of life he wants to live in retirement, with financial security and flexibility. Ralph’s goal: Do 4 to 5 fix and flips a year to provide retirement income and to keep him busy during retirement. At his current pace, Ralph is well on his way! We recently sat down with Ralph to find out how he makes time for investing while having a full time job, his approach to investing, and what it’s like going from no deals to multiple deals. NOTE: Since Ralph is a Premium Elite member, he received a FULL refund of his up-front membership fee for simply doing a deal! Find out more about our Premium Elite Membership here. Well, it’s a funny story. I got a letter in the mail about tax liens. I thought investing in tax liens sounded like a good idea because you could buy a tax lien and receive 18% interest. At a bank, you only receive 1% interest if you’re lucky. Eighteen percent sounded really good. We went to this free seminar where we learned about tax liens. We then signed up for a weekend seminar to learn more about tax liens. Interestingly enough, they didn’t mention tax liens during the whole three-day seminar. They talked about buying real estate and investing in real estate and flipping houses. We didn’t sign up with them because they were a national company and we found a company that was doing pretty much the same thing right here locally. So, we got involved with them and started joining real estate investment clubs, started marketing, and started trying to invest in real estate. We did that at the start of September last year. How many deals have you done in the last year? We have done two. One is a rental home that we bought and we are currently in the process of fixing the property. The other is a flip in Fort Worth that we are preparing to rehab. 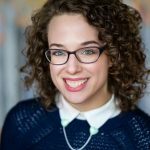 How tough is it to break into real estate investing with no prior experience? That is where you guys came in. I have been marketing myself at real estate investment clubs we’re a part of and other places. I received a call from a wholesaler who claimed to have a property in Fort Worth that he acquired and was looking to wholesale. He said if I was interested, I should go to MyHouseDeals.com and check it out. I was already a member of the site. That is where it started. I was looking for passive income, a way to invest some money and receive a decent return on my investment instead of the less than one percent you get at banks or having to worry about the stock market. My wife and I decided to invest in real estate. What else did you do to build up your investing education? I am a member of a group called the Real Alliance. They hold question and answer sessions on Tuesdays and they have meetings on Thursdays where they provide education. I noticed that MyHouseDeals has education opportunities, but so far we haven’t taken advantage of them. How do you split your time between looking for deals and working a full-time job? I do it with a great deal of difficulty. For example, today is a bank holiday so I have the day off, but my wife and I were up until 1:00 AM this morning preparing information about the flip and about the rental. There have been nights where we’ve been up until midnight generating letters. You put in the time when you can get it. I don’t want to say it’s a lot of work, but it is. It’s a lot of work to try and start a business while working full time for your W-2 employer. What are your long-term investing goals? I am approaching retirement. The plan is to retire maybe in the middle of this year and become a full-time real estate investor. You guys are helping out with that. Investing is the kind of thing that you can do part-time, but you need to do it daily. What type of deal were you looking for? My tax preparer asked me a question. He said, “How many flips do you plan to do a year?” I knew some people who were doing many in a month. If I could do 4 or 5 a year, that would be perfect for me because it would provide me with what I’m looking for: retirement income and something to do with my time. That’s really all there is to it. I’m hoping to build this small business that will allow me to find a flip and maybe even a rental along the way. You have to do a flip in order to get money for the rental. We need to find the flip first. I received a call from my wholesaler and he said, “Hey, go to MyHouseDeals.com and check out this property—I think you’re going to be interested in it.” The after repair value minus the rehab fit with the price he was offering. I was excited. It is my first deal. They say when you do your first flip it should be what they call a lipstick flip. This is not a lipstick flip. We’re moving walls, changing a master bedroom into a master bath and closet, and we had foundation problems to repair. It’s pretty much the whole gamut. The only thing good I can say about the house is that it has a new roof. The rest of it is a work in progress. It’s going to be a beautiful property when we get finished. I’m really excited about it. Why did you do a major rehab for your first flip? Same answer I gave to the tax preparer…you find deals when you can. I had been looking for several months and I didn’t see anything that fit what my requirements were and then the wholesaler I was working with came up with one. I said, “Okay. I’m going to do it. Let’s hope we can at least break even.” It turns out we’re going to do a little better than that. It’s been an amazing learning process. Apparently, we jump in with both feet because we’re covering all the bases. What requirements do you have for a fix and flip? My requirements are very simple. I want the ARV times 70% minus the rehab costs. If I can buy the house for that, then I think I’ve got a chance of making money on it and it’s a good deal. How do you verify your comps? 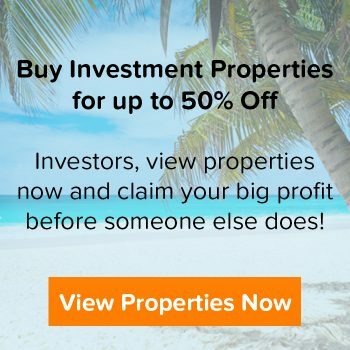 I bought a monthly subscription to a real estate website called Propelio. That’s where I get my comps, and I also know a real estate agent who can help me look up properties on the MLS, but Propelio gives me that access. I can determine what the comps are and go from there. How did you finance your Fort Worth investment property? He also said, “When you get something that you want me to be involved in, you call me up. We’ll go out and we’ll walk the property. I’ll tell you what I think it’s worth and what you should do.” That’s exactly what he did. We’re doing exactly what he recommended. It’s turning out to be a good deal. What advice do you have for people who want to connect with a hard money lender? He laid it all out for me. There were several lenders I talked to. There was another guy I met who came out with me and did an inspection for $250. That was the best money I’ve ever spent, for him to literally do an inspection of the property and then say, “Okay. I will lend you money on this house if you’re planning to do this, this and this.” I said, “Yeah. That sounds exactly like what I wanted to do.” After having spoken to him at the real estate investment meetings, then on the phone, and then walking the property with him, I felt really comfortable. Did you run into any surprises with this Fort Worth investment property? The only real surprise was that we didn’t think there were any foundation problems and we found one problem with the foundation. We had to put eight piers in to correct the problem. We knew we had to completely rewire the house. I found that it’s actually going to be cheaper to take all of the sheet rock out of the house in order to make it easier to rerun the wiring. Did your repair estimate stay the same? Yes. The electrician gave me a price and replacing the sheetrock was included in the price so nothing changed. When I think about it, the buyer is going to get a much better house now because they will have 2017 sheetrock instead of 1960’s sheetrock. Are you going to use a real estate agent to sell this Fort Worth investment property? They’re pressuring us now to get them all the information on the house. They are pushing us to get it done, which is going to be great for me. When you’re using hard money, it’s expensive. The cost doesn’t matter as much compared to what you get out of it. I’m getting this nice flip because of the hard money. If I only need it for four months, then I save two months worth of hard money lending costs. That’s profit in my pocket. Do you look for motivated seller leads? I’m not necessarily looking for motivated seller leads. Although I’m not necessarily willing to turn them down, but I do get lists from Propelio. Every day I get a list of probates and foreclosure leads. I do have a relationship with a couple of real estate agents who are sending me leads. Their leads are already on the MLS. If it’s already on the MLS then it’s probably not that good of lead, in my opinion. Propelio sends me an excel spreadsheet that I can use to generate letters. It’s a form letter and I have mail merge deals. It pulls them right off the Propelio excel spreadsheet. Printing them is easy. It’s then hand addressing, signing, licking them, putting the stamps on them. If you’re sending out 50 or 60 letters a day, that can take some time. Stick with it. I probably went two to three months trying to find a property and I had nothing. Right when I was thinking this won’t work, I received a phone call. A real estate agent I interviewed called me and said he had a motivated seller who was trying to get rid of a rental. All of sudden, I went from having nothing to having two properties I’m working on. It might be feast or famine, but don’t give up during the famine because the feast is coming.